Happy Monday Wyrdos! As you probably know GenCon is coming up soon. It's less than a month away as a matter of fact. After winning the Homefront global campaign, Gremlins were getting the next Nightmare box and we are ready to show it off. Enjoy the Nightmare Ulix crew. Make sure to head over to our forums to discuss your plans for this years nightmare crew! Happy Monday Wyrdos! 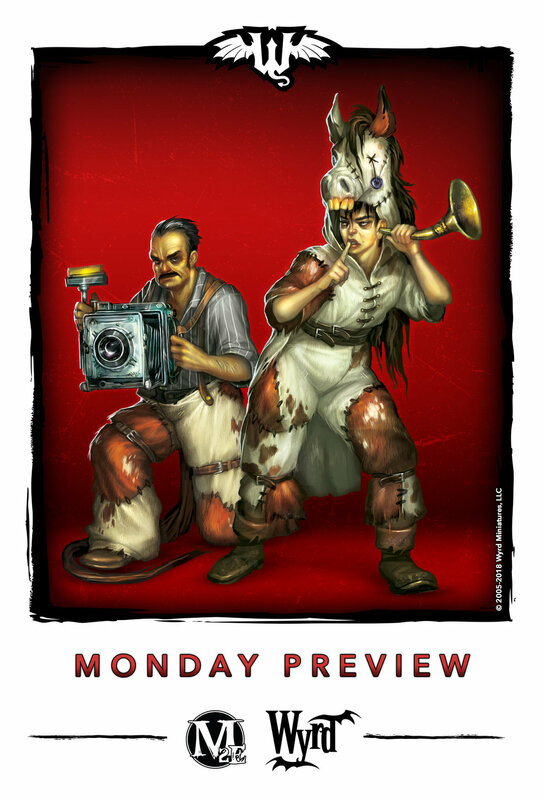 We have an awesome new Monday Preview for you showing off the Undercover Agents. What are they here for? What is their purpose? You can head over to the forums to discuss these questions and many more! Happy Monday, Wyrdos! This week, we're showing off the Guild's fair and balanced approach to the legal system with the False Witnesses. Head over to our forums to discuss! Happy Monday! We continue with a look at some mysterious upcoming projects. Head over to our forums to speculate what monkey-business this model might get up to! Happy Monday Wyrdos! Today was a bit of an odd one. I wandered into the office and found an envelope on my desk. No markings on it. I discovered these guys in that envelope. Unsure of what it might mean, I figured I would leave it to the community to help me figure out. Head over to our forums to speculate on who you think these guys are. Hey Wyrdos! 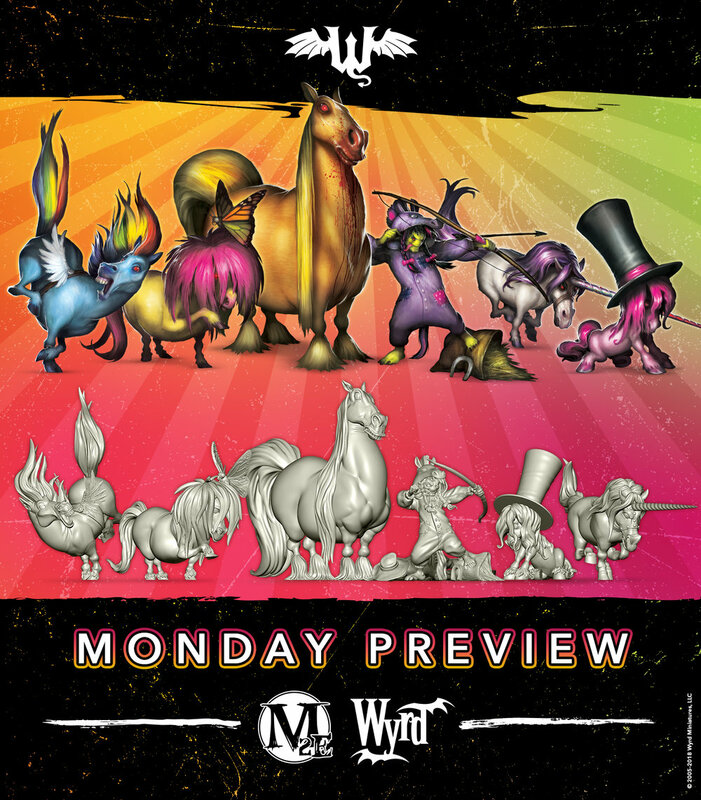 It's time for yet another Monday Preview and we have a pretty cool one. We continue our line of Wyrdscape base inserts, adding these cool new Asian Ruins into the line! You can see there are a total 10 awesome new base inserts to spice up your crew! Head over to the forums to discuss your plans for these bases!